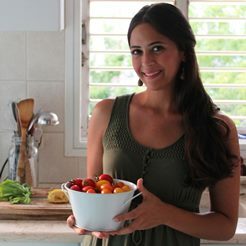 With just four ingredients and in under thirty minutes you can bake a batch of crispy “fries” made form a tube of store-bought polenta! 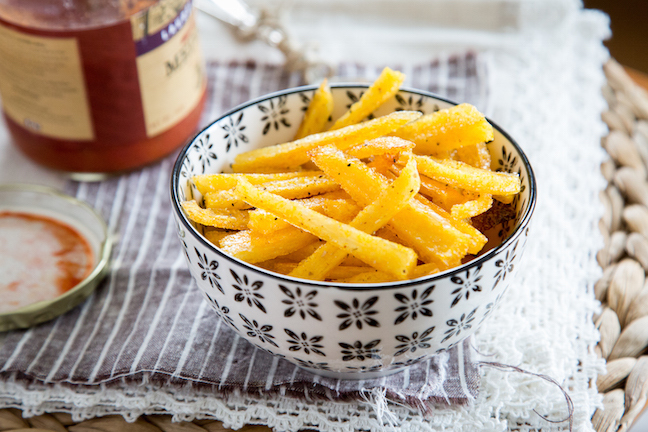 Serve up these crispy polenta fries with your favorite dip or sauce; they are perfect for a quick and simple appetizer, side for kids’ dinners, or a tasty, no-fuss movie snack. Step 1: Preheat oven to 450 degrees F and lightly grease a large baking sheet. Step 2: Unwrap the tube and cut in half, crosswise, and then slice into half-inch thick fries. Step 3: Spread out the fries evenly onto greased backing sheet. 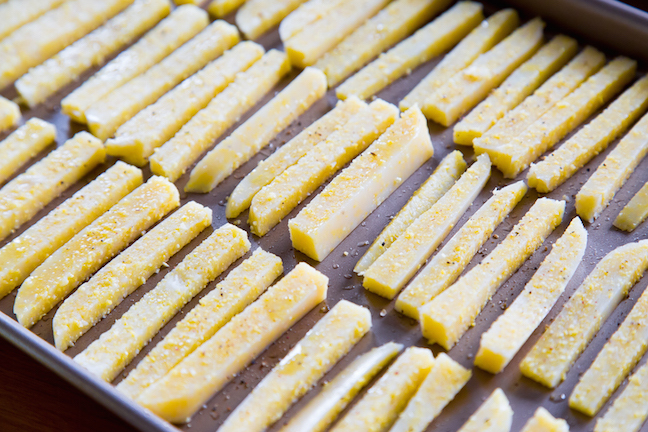 Lightly coat the fries with olive oil spray and season with salt and pepper. Bake for 25 minutes or until deeply golden and crispy. Allow to cool slightly before serving. Serve with your favorite sauces or dips (marinara, salsa, guacamole, etc. ).